YU Yuphoria is one of the best entry-level phone powered by Cyanogen OS 12 based on Android 5.0.2 Lollipop. Recently, YU team started rolling out the latest software update for Yuphoria, that updates Yuphoria running Cyanogen OS version 12.0-YNG1TBS1O3 to YNG1TBS2P2. The latest YNG1TBS2P2 incremental update sized 38MB includes fixes and improvements for bugs pointed out by users in the current Yuphoria software. The update is available as an OTA update rolling out gradually and full roll out will happen over the next 2-3 weeks. This is an important update that should significantly improve the performance of Yuphoria. If you can’t wait anymore, then you can choose to install the official OTA update manually on Yuphoria following the simple steps below. 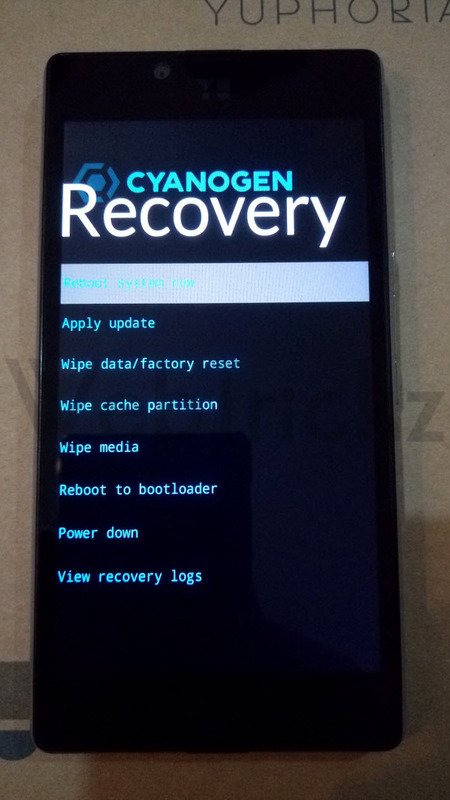 In order to flash the OTA, your device must be running Stock kernel and Stock recovery. This process should not effect the data on your device. The CM12.0-YNG1TBS2P2 OTA update for Yuphoria comes with a host of features and enhancements. The update reportedly fixes issues with proximity sensor by including patches that will auto calibrate it every time the phone reboots. The entire camera stack has been rebuilt that greatly improves the camera performance to provide sharper images and capture more details even in low light conditions. The touch panel has been made more responsive. A new firmware has been developed for faster typing and better gesture control, to give you a more fluid and seamless experience. Other auxiliary enhancements include improvements in device thermal management, dialer experience, and host of enhancements for the audio chipset resulting in richer bass, sharper highs and an overall crystal clear audio experience. Note: Applicable only when updating from YNG1TBS1O3 to YNG1TBS2P2. 2. Place the downloaded zip file in the phone’s internal storage. 3. 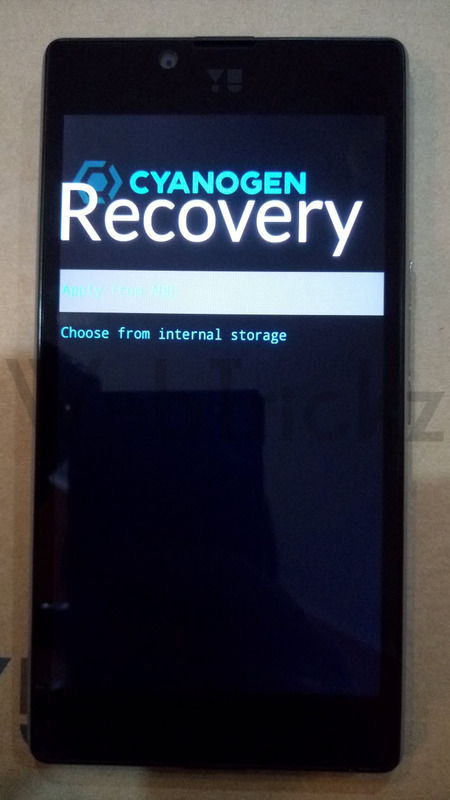 Boot Yuphoria into Stock Cyanogen recovery – To do so, power off the phone. Then press Volume Up + Volume Down and Power button simultaneously. 6. Then select ‘Reboot system now’. Confirm the update installation by checking the ‘OS version’ and ‘Build date’ from About phone. The build date of this update is June 10, 2015. I tried to manually update Yuphoria as per steps given by you. But it always ends up in an error. I get following message on error screen. Can you suggest what to do for this error ? Is your phone rooted or the bootloader is unlocked? 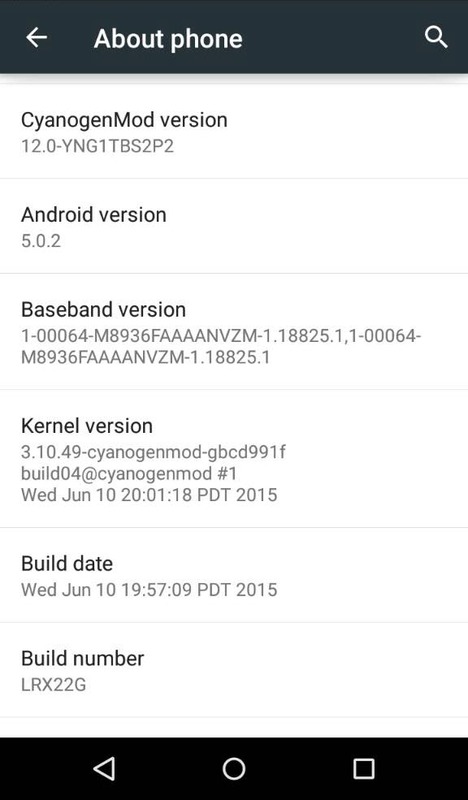 My yuphoria is rooted with bootloader unlocked. i have stock rom kernel and stock recovery but still unable to apply the up[date .. any way to apply it. Make sure you’re on stock recovery with completely non-rooted stock ROM. Its not 38mb file its only showing 35.5mb after downloading and will it support to OTG………..what types of changes will it provide…….? Plz reply. sir i want to flash my stock rom in yuphoria. please help me. great tutorial… downloaded and updated the latest patch. The tutorial was of great help and everything went as per expectations. Now I hope to get rid of the proximity sensor issue. 2. I even tried manual update but failed . I was enabling 3g in yuphoria and then it automatically turned on 2g . I got a massage system update but m a bit confused as how to install it. Sir, would you please suggest me how to install in my phone. I don\’t know the process of installation so please help as soon as possible, thank you. Unable to install side load package.